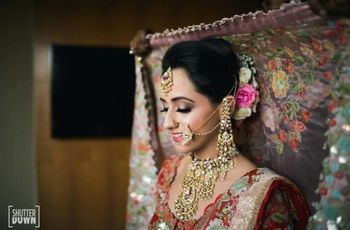 The Only Guide on Wedding Jewellery That Every Bride-To-Be Needs to Look at Before She Goes Shopping | Wedding Tips ARE YOU A VENDOR? During most Indian weddings, the centre of attention is the dazzling Indian bride and her bridal jewellery. Read to know what all you need to buy for your bridal look. 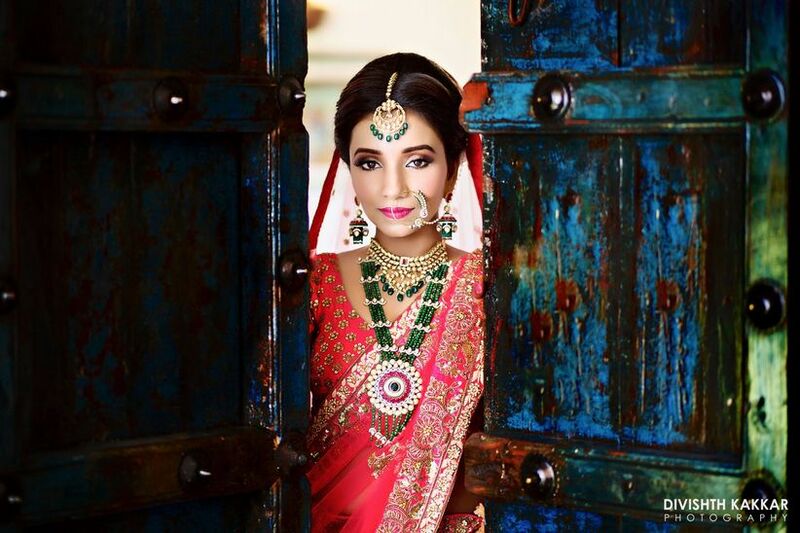 A gorgeous Indian bride is adorned with traditional wedding jewellery from head to toe. It is this element that completes the wedding-day look she’s been dreaming of for so long. The regal charm of an elegant affair, a certain grandeur to the look, all of it is brought out in the open with wedding jewellery. More than just an artistic expression of beauty, it also has cultural and spiritual significance. Here is the detailed guide on what all to pick for the perfect bridal jewellery set. Wedding jewellery for every bride-to-be holds a very important and special place. Often, given down by the elders of the family members as a token of blessing, wedding jewellery holds a lot of emotional significance. Therefore, we have spent the time to come up with a thoughtfully curated piece of importance that will come in handy as you purchase your wedding jewellery. So, go ahead and give this article a read and look at the various wedding jewellery sets that are available in the wedding circles and are raging between the brides. 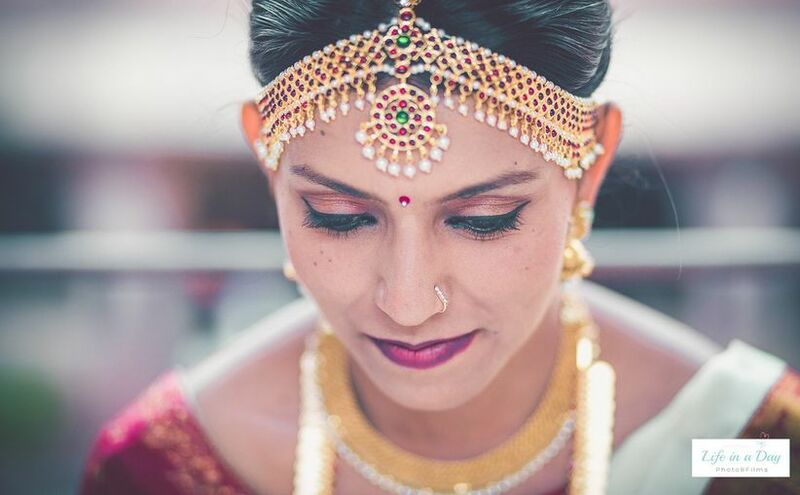 A Maang Tikka is placed over the bride’s head with a jewelled chain in the middle parting of the hair and the pendant at its front-end resting on her forehead. The Ajna Chakra, which represents knowing or perceiving, is said to be found in this area. You will find the pendant designed with precious gemstones and pearls arranged like petals or as a Rajasthani Borla. These petals traditionally signify the sacred union of the bride and the groom in spiritual, physical and emotional aspects. Matha Patti literally is a chain that covers the forehead. 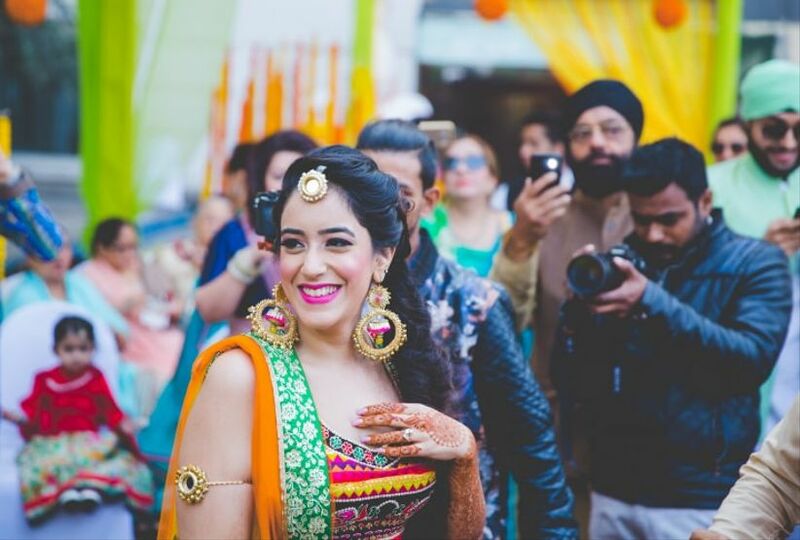 The combination of Matha Patti and Maang Tikka looks amazing on most brides. 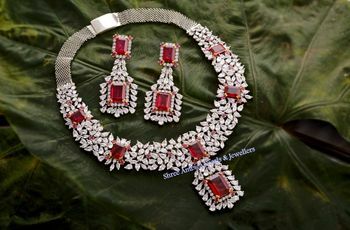 Earrings complementing the Maang Tikka and the necklace are a must in the wedding jewellery set. Large danglers will bring out the charm and elegance of your bridal lehenga. When choosing the earrings, it is best to consider their size and weight. Make sure that the colour and design of the earrings compliment the bride’s face and her wedding dress. Like Jhumka earrings would look best as a part of a matching set while Chandbalis can be your statement jewellery piece on a reception gown. Wearing a set of wedding jewellery as spectacular as this one, will make you look like a dream come true! This wedding jewellery is worn around the bride’s arm and is usually made of gold and an ensemble of gemstones. It is said to signify royalty and signifies a sense of virtue for a bride. Ensure that the armband must not be too tight or too loose for it to stay in place comfortably. 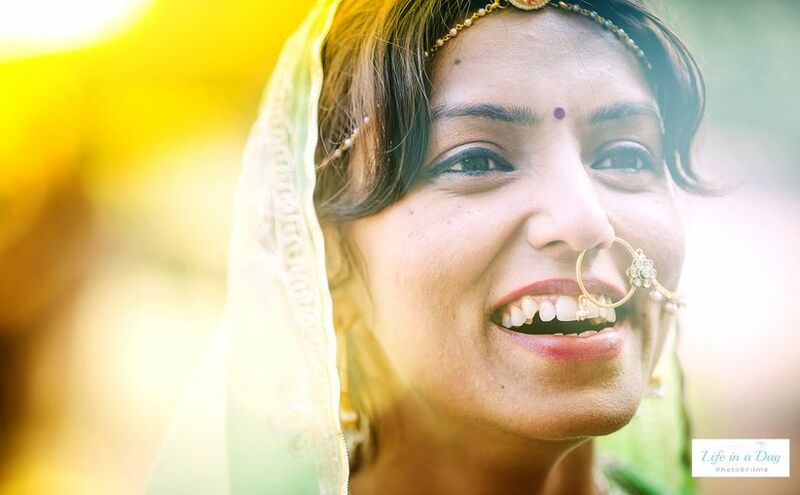 Indian brides adorn their nose with a hoop-shaped wedding jewellery item which comes with a small chain connecting to one of the earrings. Not everyone gets their nose pierced for wearing a nath and many brides opt for clip-on nose rings or less detailed and light ones so as to avoid pain or irritation. With a plethora of designs available, a bridal nath could be the only thing that could take your bridal look to the zenith. A humble piece of jewellery, a bridal nath is for every bride-to-be. 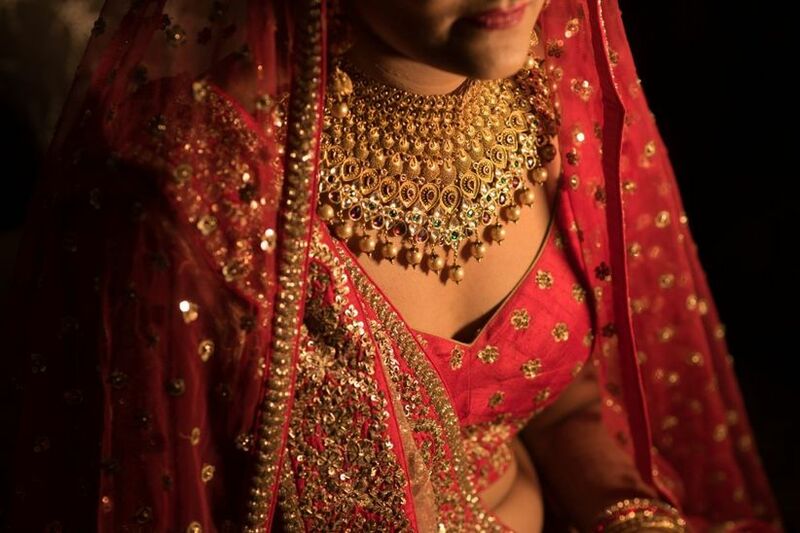 A bridal necklace is the highlight of a bride’s jewellery set. Depending on your choice of wedding jewellery, you will find gold jewellery sets, diamond sets, Kundan, Polki and Jadu sets, the Satalada bridal necklace to name a few. 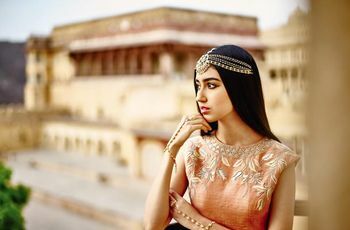 Even these come in different styles such as chokers, collar style, rani haar among others which should be chosen according to the blouse of your lehenga to get the maximum impact. The bride’s figure is highlighted by the Kamarband by helping flatter the waist. This wedding jewellery is essentially a belt made of intricate chains using metal like gold, and adds a decorative accent to the wedding dress. You would often see a South Indian bridal beauty flaunting it with sass. 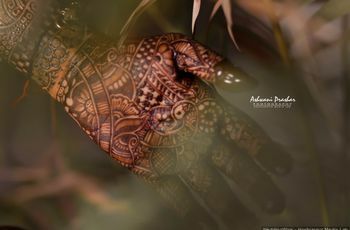 The bride’s wrist is adorned with bangles or a bridal chura, and occasionally a well-crafted hand chain to go with the mehndi. The material of the bangles varies from gold, glass, to ivory along with its colours depending upon the tradition in the area. Bridal churas are usually made of plastic and can even be customized to the colours of your lehenga. 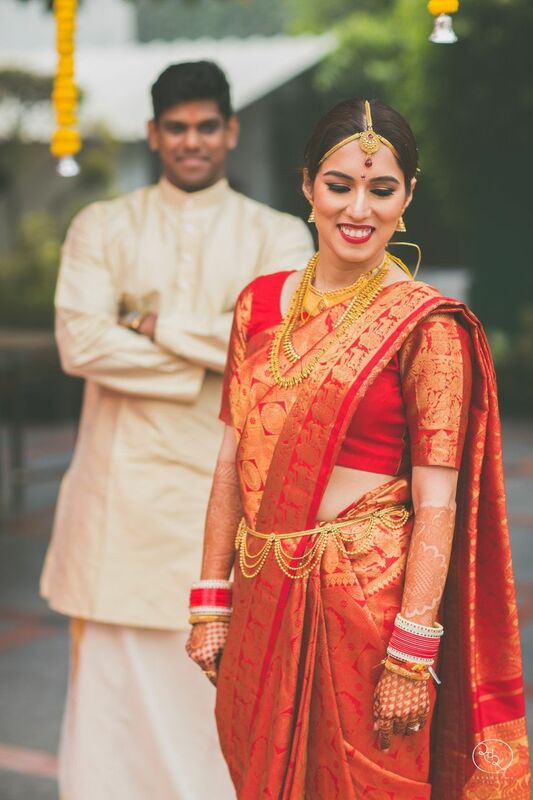 To add on to its beauty, many brides also wear a hand chain which comprises of a ring that has intricate chains connecting it to its bracelet part. Traditionally, the ring has a prominent flower design. It is necessary for Indian brides to have toe rings on their wedding day. These metal bands are usually made of silver and may come in singles and pairs or threes that are connected to each other. This is said to be in connection to conception. 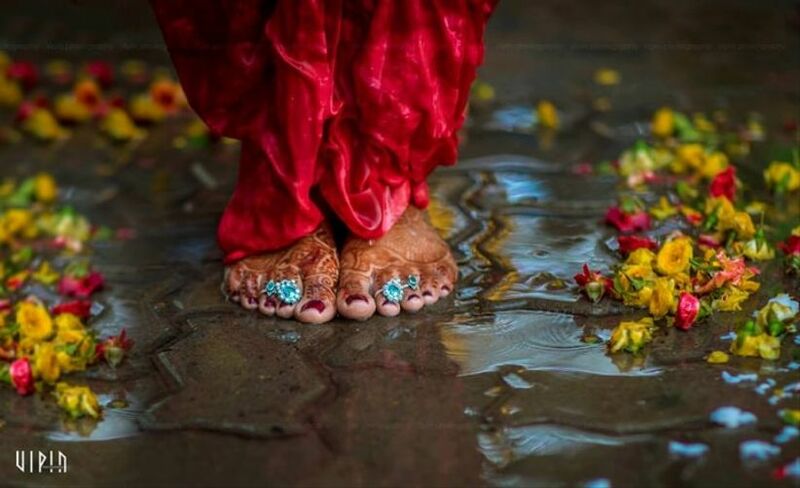 This wedding jewellery enhances the look of a bride’s feet. You will find a variety of designs in gold, silver, kundan and platinum with tiny Ghungroos attached to the lock. It is important for the bride to consider her comfort, budget and the envisioned look when choosing the right wedding jewellery. Research for tips on finding bridal jewellery according to your budget, statement pieces that match your wedding trousseau and always stay true to your taste and personality. So, which one of this piece of wedding jewellery did you love most? Tell us how your wedding jewellery shopping experience was in the comments below. 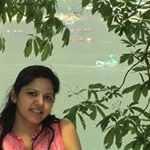 1 comment in "The Only Guide on Wedding Jewellery That Every Bride-To-Be Needs to Look at Before She Goes Shopping"
Getting perfect jewelry for her wedding is like dream for girls in our country if you are one bride to be a girl you should visit a good <a href="https://www.tistabene.com/">rel="nofollow" online jewellery store India</a> for getting an idea for ideal bridal jewellery.